Running a successful car wash is about more than what’s happening on your own site. You’ve got to know what the other kids on the block are doing so you can keep up with the competition. Customers want a quick visit, and often fit a car wash into their busy day. To ensure your location is up to speed, review your wash process, from payment to traffic flow to conveyor speed. Are you positioned for convenience? Customers want a stress-free, easy experience. Take a look how easy it is to enter and exit your property. How user-friendly is your sales process? What is the wait time? Delivering on the promise to turn out a clean, shiny car is paramount, and failing to do so will cost you customers. How can you ensure top quality of your car wash? Maintain your systems frequently. Remember, what worked five years ago may not work the best today. If your system is starting to lag behind the competition, look at options to upgrade equipment or add new, exciting elements. Your customer will compare prices to get the best deal. As a business owner, you should also compare prices to better understand how your customers make their choices. It will also allow you to understand how your service and pricing scheme stacks up against what your competition is offering, and determine if you are over or under priced. Knowing that you can justify your offering for the price will also help you better focus your marketing plans. Make sure that customers choose you over your competition by marketing your business in a way that gives you an edge. 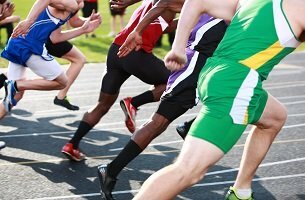 Examine your competitors marketing strategies: what’s good about them? What makes them different? Are they driving success with their efforts? Knowing how others make it into the winners circle will help you to think creatively and try new things that can end up boosting profits and overall customer satisfaction. Interested in learning more about what MacNeil has to offer? Connect with us today.